The U.S. Foreign Military Sales (FMS) program, authorized under Section 3 of the Arms Export Control Act, specifically authorizes the sale of defense articles and services to foreign military and government end users. In a similar fashion, the International Telecommunications Union (ITU) has set aside certain bands of the Radio Frequency (RF) spectrum, most notably X-band, for exclusive use by military and government end users worldwide. In short, both the FMS system and X-band SATCOM were designed to support military applications. After even briefly examining X-band’s many benefits to the warfighter, to include high-mobility, high-penetrability, high-throughput, ready availability, and low cost, it is clear that X-band SATCOM is an ideal fit for FMS customers around the globe. High Mobility. The minimum 4° spacing present between X-band satellites reduces the effects of Adjacent Satellite Interference (ASI) and thus allows for the use of smaller, lightweight, highly-portable antennae, with robust throughput achieved with antennae 18″ in diameter – and even smaller – without the use of spread spectrum. X-band is thus ideal for highly-mobile, man-portable, aircraft-mounted, and UAV applications. High Penetrability. The physical properties of X-band provide greater signal penetration and thus signal reliability through dust storms, rainstorms, and other atmospherics than traditional, higher frequency bands. X-band is ideal for critical communications, datalinks, and real-time intelligence and targeting applications. High Throughput. X-band achieves a purposeful balance between the higher data rates of Ka- and Ku-band communications, and the high penetrability of lower frequency C and L bands. Rates of up to 300 Mbps are easily achievable. Ready (and Non-Preemptible) Availability. Due to the fact that X-band is reserved for exclusive use by military and government end users, there are fewer users competing for service. Commercial X-band in particular offers fast, highly-reliable, non-preemptible service that can be established quickly and at lower cost than other bands. Low Costs. In addition to low costs (discussed above), business models operating in the X-band now offer first-ever scalability of service, ideally suited for those FMS customers that do not need, want, or cannot afford traditional, full-time, dedicated bandwidth solutions. FMS customers, in effect, can have pay-per-minute SATCOM, and all it takes to begin is a Letter of Request (LOR) asking for it. First, the U.S. Government should ensure that it maximizes use of this valuable RF resource by ensuring that X-band options are factored into domestic and FMS procurement actions where SATCOM connectivity is required. Furthermore, U.S. Government Security Cooperation Offices (SCOs) located around the globe should build awareness of X-band’s unique properties with the FMS customer – and particularly when anticipating an FMS sale that will require SATCOM support. Second, the U.S. defense industry should emphasize X-band’s unique properties in its R&D efforts and should develop solutions – such as X-band’s lighter, smaller antennae – that take advantage of them. While industry may be tempted to focus on providing Ka- and Ku-band solutions for dual-use (civilian and military) purposes, X-band’s unique combination of properties, perhaps most notably high mobility and signal penetrability, make it the band of choice for military applications, particularly for forward-deployed/highly-mobile tactical units, ISR assets, and equipment such as UAVs. Finally, our FMS Customers should not assume that the procurement office handling their FMS case fully understands their needs. FMS customers should specifically request commercial X-band SATCOM solutions as an option in their Letters of Request (LORs), and then let the combination of high performance and low cost speak for itself. FMS and X-band SATCOM are long overdue for a marriage, of sorts. Both systems are purposefully designed for, and reserved for use by, government and military customers only. As such, the solutions offered through FMS channels should be specifically tailored to meet the needs of the warfighter, not the mass market. 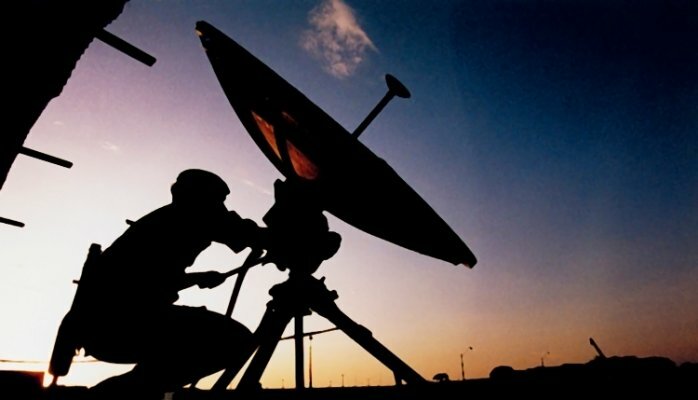 The benefits of X-band solutions in warfighting applications are many, and the U.S. Government and U.S. industry each have a role to play in communicating and facilitating X-band’s more frequent adoption into domestic and FMS procurement channels. Like all SATCOM, X-band can be provided as a standalone service, as part of a systems upgrade, or as an integral part of an initial weapons sale. Regardless, the FMS customer should always expressly communicate its interest in commercial X-band solutions in the LOR, which triggers the FMS process in earnest. Successful application of the above principles will increase our partners’ organic warfighting capabilities and will contribute to the safety and security of the American people. The FMS system is robust and is currently providing over $440B in high-quality U.S.-origin defense articles and services to over 170 security cooperation partners located around the globe. FMS is obviously getting it right, and providing more military-grade vice mass-market SATCOM to the warfighter is an opportunity to do it even better. I will send the wedding invitations. The views expressed in this article are those of the author and do not necessarily represent the views of the United States government.